The big fat U.K. economic collapse has not happened. At least not yet. Britain voted 100 days ago to leave the European Union, but the U.K. economy appears to be humming along nicely despite the decision to divorce its biggest trading partner. Government borrowing declined in August, inflation held steady and consumer spending increased by 10% -- its biggest jump in more than a decade. Factory data have been positive and activity in the services sector, which accounts for nearly 80% of the economy, rose 0.4% from June to July. "The sky hasn't fallen on either side of the Channel, contrary to concerns that the U.K. would soon fall into recession," said Jean-Michel Six, chief economist for Europe at S&P. 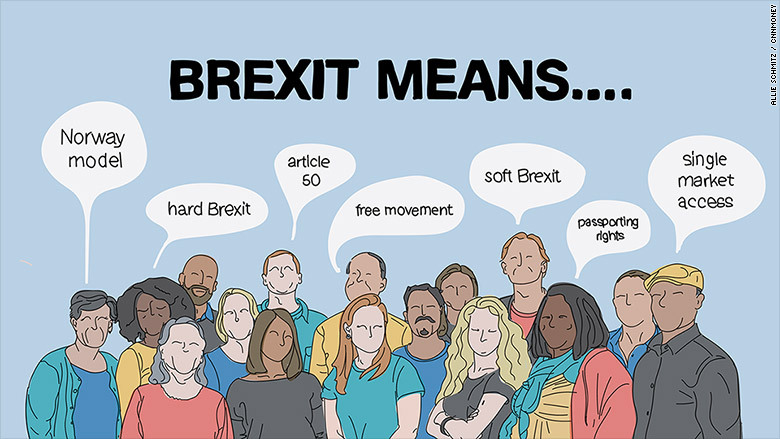 The positive data have emboldened politicians who campaigned to leave the EU. They're now taking a victory lap while accusing mainstream economists and international institutions of scaremongering before the EU referendum. But more cautious observers warn that the real economic impact of Brexit is still to come. That's because nothing has changed yet. Britain has voted to exit the EU, but its companies still have access to European markets. London's banks still enjoy the "passporting rights" that allow them to do business in Europe. The Bank of England has helped by pumping tens of billions into the economy and cutting interest rates to a record low. And a 13% collapse in the value of the pound is providing a boost by making British exports cheaper for foreign buyers. At the same time, the currency's decline has not yet caused a drop in real incomes in the U.K. (that could take up to a year). Jonathan Loynes, chief European economist at Capital Economics, said it's possible that the U.K. economy is "in a temporary 'sweet spot.' "
"Some of the positive developments which we expected to cushion the impact of the referendum have been felt before the major adverse consequences," he said. 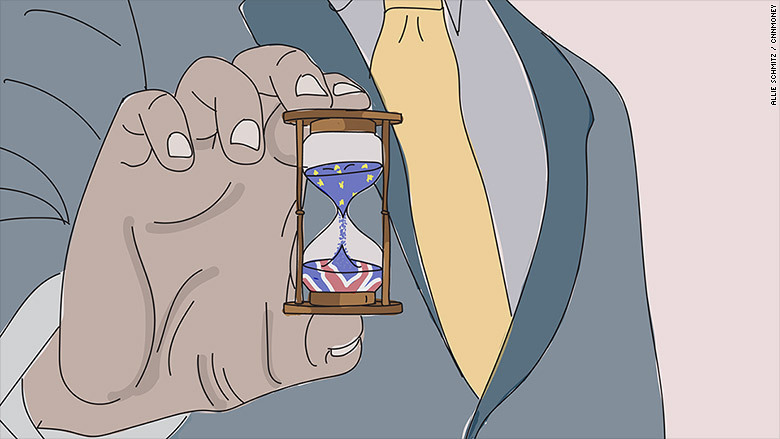 But time is running out for the U.K. to trigger the formal process of leaving the EU. The government, led by new Prime Minister Theresa May, has so far not revealed how it plans to untangle its relationship with the EU. A "soft" exit would allow for continued easy access to Europe's markets, while a "hard" exit may mean restrictions on exporters and banks. Most economists say the real impact will only be felt when the exit process begins. The devil will be in the details. "Why would a reasonable person say that the U.K. economy was fine after two months of economic data before [the exit] was even triggered, knowing full well that the impacts would stretch over multiple decades?" asked Christopher Vecchio, a currency analyst at DailyFX. There are already some signs of tougher times ahead. The number of mortgages approved last month dropped to the lowest level since 2014, and retail sales declined by 0.3%, the biggest monthly drop in two years. The Bank of England slashed its growth forecast in August. It now predicts that output will be 2.5% -- or £45 billion -- less by the end of 2018 than it forecast in May. The central bank has also warned that up to 250,000 people may lose their jobs over the same period.